Extracting audio from visual information: Algorithm recovers speech from the vibrations of a potato-chip bag filmed through soundproof glass. "This book is a must read for statistics student or teachers at any level and speaks directly to the "I just don't' get it" thought that so many of have experienced. After reading this book-you will get it. 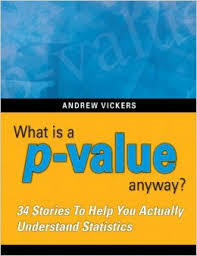 In a casual and easy to read manner, Vickers reviews statistical concepts and ideas that have puzzled students for years and explains them in a way that is easy to grasp..."